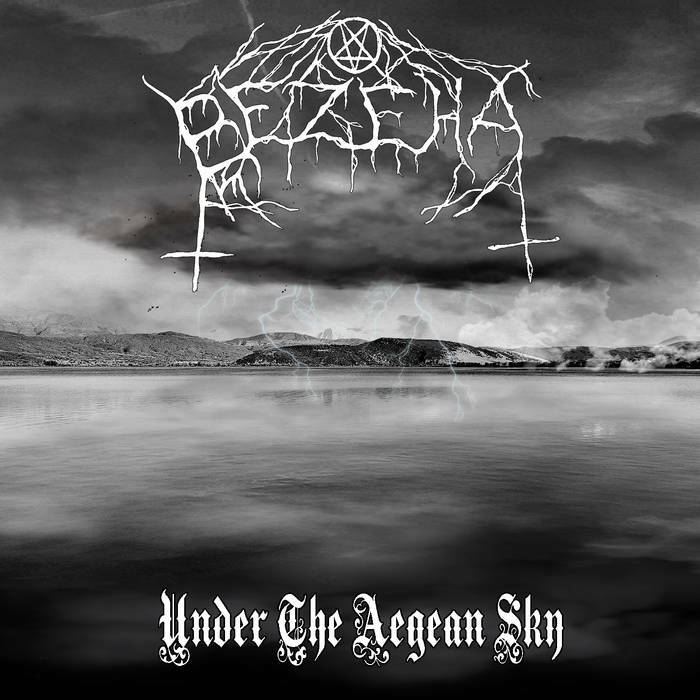 Bezeha are a band from Greece that has been featured before in this zine and plays an old school form of Nordic influenced black metal and this is a review of their self released 2018 album "Under The Aegean Sky". Melodic guitar leads start off the album before going into a very fast and raw musical direction which also uses a great amount of tremolo picking and blast beats while the vocals are mostly grim black metal screams along with t he music being very heavily rooted in the 90's second wave style. All of the musical instruments on the recording have a very powerful sound to them while the songs also bring in a great mixture of slow, mid paced and fast parts along with some growls also being used briefly and as the album progresses clean playing can also be heard on some of the tracks as well as all of the music sounding like ti could of easily been recorded and released more than 20 years ago and they close the album with a folk music orientated outro. Bezeha creates another recording that remains true to the 90's era Nordic influenced black metal style of their previous release, the production sounds very dark, raw and old school while the lyrics cover Anti Christianity, Social and Mythistorical themes. In my opinion this is another great sounding recording from Bezeha and if you are a fan of old school black metal, you should check out this album. RECOMMENDED TRACKS INCLUDE "Ancient Kingdoms Of The Past" "Bezeha" and "Archangels Fall". 8 out of 10.